St. Paul's only art museum has been brought back from the brink. 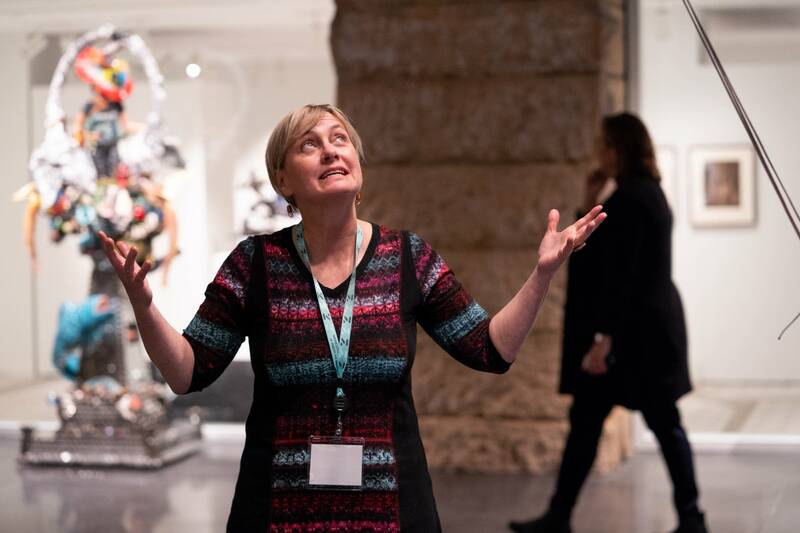 "I'm a little bit numb, but it feels fabulous," said Kristin Makholm, executive director of the Minnesota Museum of American Art — or "The M," as it's now called. This Sunday, the museum is reopening its doors in a newly renovated space in downtown St. Paul. The celebration marks an important milestone for an institution that, less than a decade ago, was at risk of closing permanently. "It's pretty incredible to be at this point with this museum," Makholm said. Indeed. When Kristin Makholm first took on the director's job in 2009, there was no museum; the artwork was all in storage. A combination of a bad economy, and the need to move out of its then exhibition space on the riverfront forced the institution to close and drastically reduce its staff. But Makholm was familiar with the museum's art collection, which includes numerous works by Paul Manship, George Morrison and others. She knew it had potential. "It's St. Paul's only art museum, so it had to be fought for," she said. Makholm spent years keeping the collection alive in the minds of Minnesotans. She toured exhibitions around the state, published books and, most importantly, worked to rebuild trust with the community. In 2013 The M launched its "Project Space" in the joined Pioneer-Endicott buildings in downtown St. Paul. The small gallery was a foothold, and it quickly gained a reputation for engaging shows that reflected both on art and identity. Now — after a yearlong renovation and construction process — that space has quadrupled. Under the guidance of the architecture firm VJAA, the 19th century buildings have been restored and updated to create a fitting home for a 21st century museum with a historic collection. Jennifer Hensley, the museum's director of operations, said the renovation has restored the space to "the grandeur that it was originally built to be." "The storefront around what is now our lobby was really bastardized," she said. "It was red-brick infill between these gorgeous granite pillars that you couldn't see because of the red brick behind them. And now we've opened it up with all the glass." The new museum has gallery displays that open onto the street for passers-by. Inside, there's a new Center for Creativity where visitors can make their own art or take classes. And next to the lobby is a 24-foot-high atrium for displaying sculpture and site-specific work. 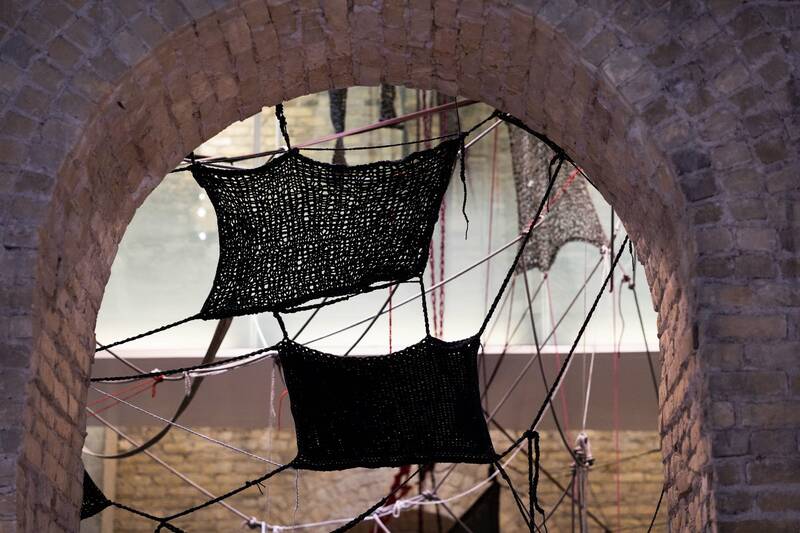 Currently a fiber installation by Sheila Pepe fills the space, with ropes and crocheted fabric reaching up to and wrapping over the glass-walled public skyway on the second floor. Curator Christopher Atkins is eager to see what other new art the space will inspire. "Artists usually work on the floor, or in a way that people can walk into their work," he said. "But rarely do they have people floating above their artwork and looking down on it from above." As part of its opening, The M has a show of works from its permanent collection called "100 years and counting." A collage by Frank Big Bear documents the intricate connections between Native artists and the American Indian Movement. Photographer Gordon Parks' portrait of Muhammad Ali faces off with two early 20th century Native American portraits by Edward Curtis. Entry to the museum is free. "We want this museum to be open accessible and welcoming to everybody in this community," Makholm said. "And so the best way to do that is to not have an entry fee." The opening on Sunday is a significant moment for the museum, but Makholm pointed out that it's only phase one. In 2020 the museum will expand yet again, adding 12,000 square feet of gallery space. 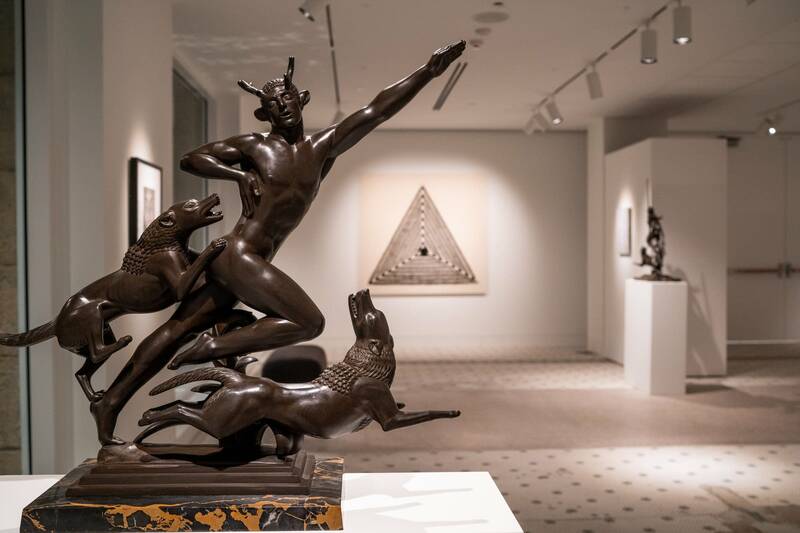 Makholm said visitors can look forward to a gallery dedicated to a rotating display of the more than 300 works by celebrated sculptor Paul Manship in the museum's collection. Looking back at the past decade, Makholm said she's moved by the community support the museum's received. "The thing I'm most proud of is that the community rallied ... to realize the potential of this museum," she said. "And it just shows you need to fight for the things that are important." The Minnesota Museum of American Art reopens to the public this Sunday with a celebration from 11 a.m. to 5 p.m. The day includes dance, music and hands-on art-making activities for all ages. While the museum was close to dying a decade ago, it now appears to be very much alive.